GE shares fell to levels not seen since July 13, 2009. Concern about a recent gas turbine failure in Texas continues to hang over GE. Several Wall Street analysts slashed GE price targets this month due to the struggling power business. 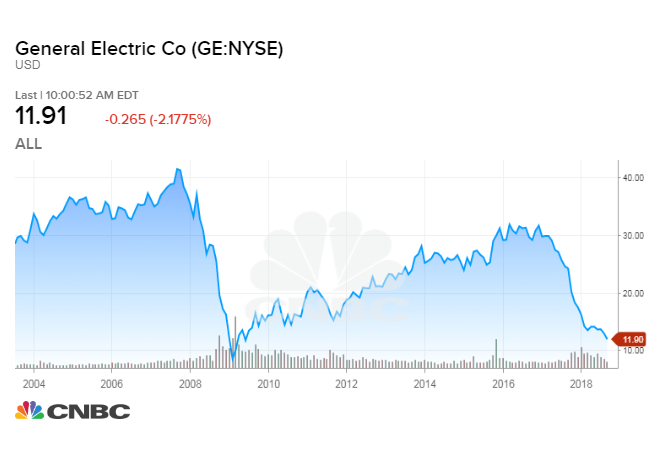 General Electric shares fell to a new 9-year low on Monday, dropping to levels not seen since July 13, 2009, as concern about a recent gas turbine failure in Texas hang over the embattled industrial conglomerate. Shares of GE fell as far as $11.60 a share in trading, breaking past its previous low this year of $11.94 a share. The stock closed at $11.46 a share on July 22, 2009 – a few months after it hits its lowest point during the financial crisis, when it closed $6.66 a share on March 5, 2009. GE's stock has fallen steadily this year, down 32 percent. The conglomerate's stock has set new lows as investors remain unconvinced by CEO John Flannery's turnaround plan and its stagnant power business has hit new roadblocks, such as the Texas turbine failure and no short-term turnaround in sight. Several Wall Street analysts slashed GE price targets this month due to the struggling power business. 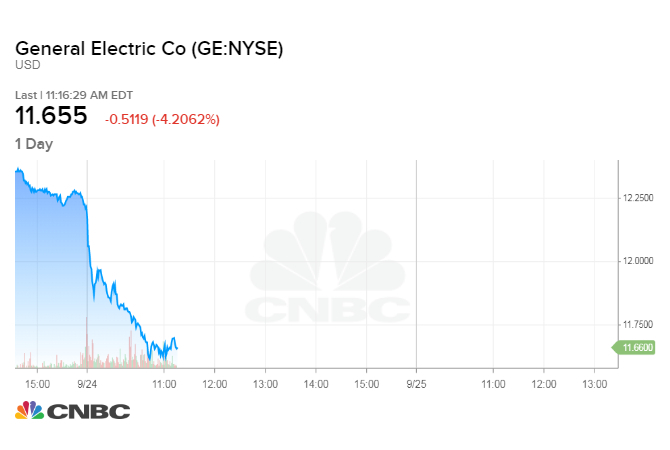 UBS cut its price target to $13 from $16 for GE shares, saying the business will likely "require even more aggressive cost reductions, force GE into a vicious cycle." J.P. Morgan brought its price target all the way down to $10 a share, saying the firm now assumes "weaker results at power and some franchise value impact" for GE. Flannery said during GE's second-quarter earnings in June that he had "essentially" completed the "target of $20 billion of dispositions" he promised.